He now runs an insurance business. 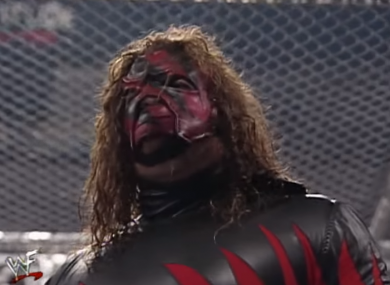 FORMER WWE WRESTLER Kane has been elected as the mayor of his hometown in Knoxville. Glenn Jacobs runs an insurance and real estate company and was leading Democrat Linda Haney by a large margin with most of the votes counted. The Knoxville News Sentinel reports Jacobs claimed victory at his watch party. He said some politicians responded with “pretty resounding laughter” when he announced his decision to seek the top job in Tennessee’s third-largest county. Jacobs said he doesn’t normally use wrestling analogies for campaigning. Jacobs won a close primary in May. Those results were delayed when the county’s election-reporting website crashed after a concerted cyberattack that experts deemed “malicious”. Email “WWE wrestler Kane wins mayor's race in Tennessee”. Feedback on “WWE wrestler Kane wins mayor's race in Tennessee”.